150 lucky customers were surprised when the world’s fastest man, Usain Bolt, came to play paintball at Delta Force Paintball, Melbourne on Saturday. 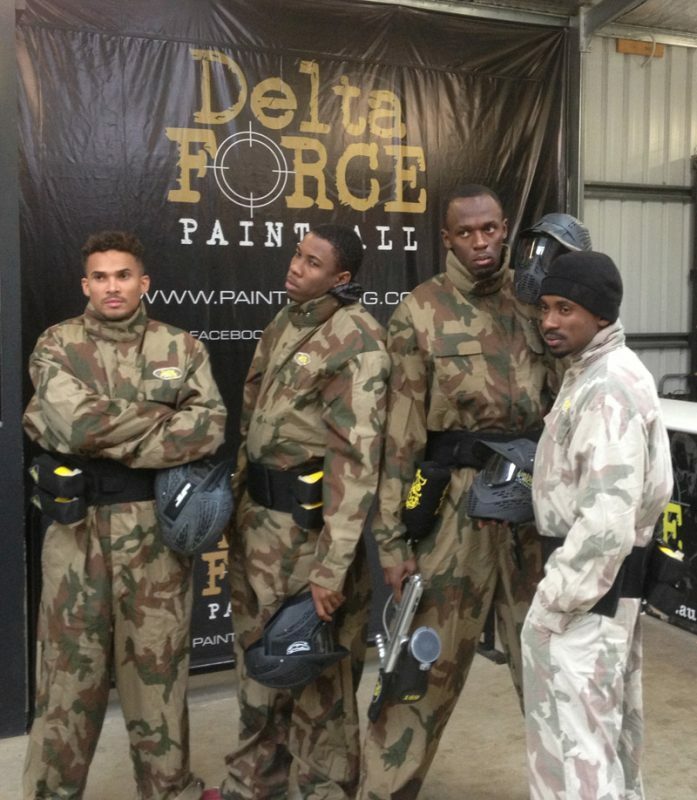 Usain, along with brother Sadiki and best friend Chris, were joined by Australian sprint champion John Steffensen at the world class paintball centre. 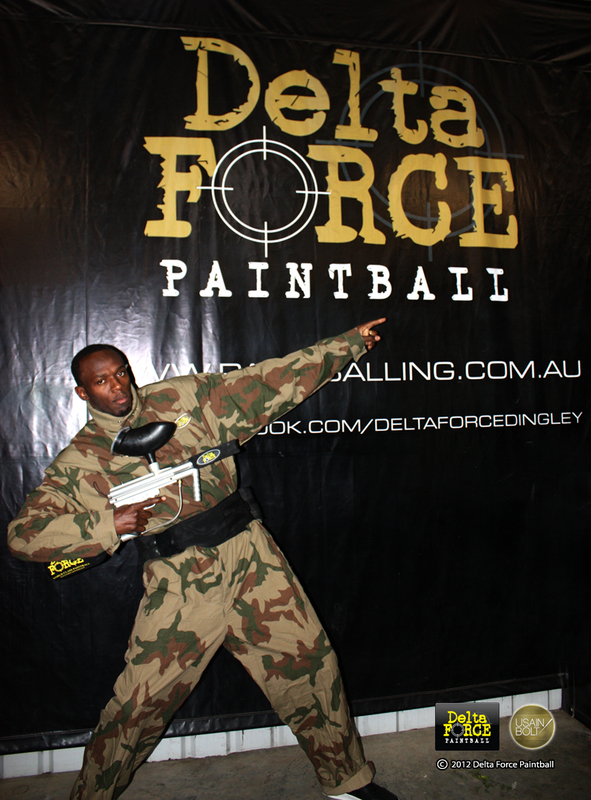 They were very impressed with Delta Force Paintball’s high quality equipment and even wanted to take some home. Delta Force Paintball is known for its incredible movie-set game scenarios, world-class facilities and state-of-the-art equipment. Our professionalism, quality scenarios and 100% safety record have put us at the forefront of the paintball industry. Over the years Delta Force has hosted paintball events for quite a few celebrities, including sporting stars, actors, musicians, politicians and reality TV show winners. Whether it’s the action-packed movie-set game scenarios or state-of-the-art equipment, celebrities time and again choose Delta Force for their ultimate paintball adventure.